Lassi is one of the oldest beverages in India. It is the best drink to keep you hydrated for a long sunny day. You can get different taste of Lassi after addition of number of different ingredients. 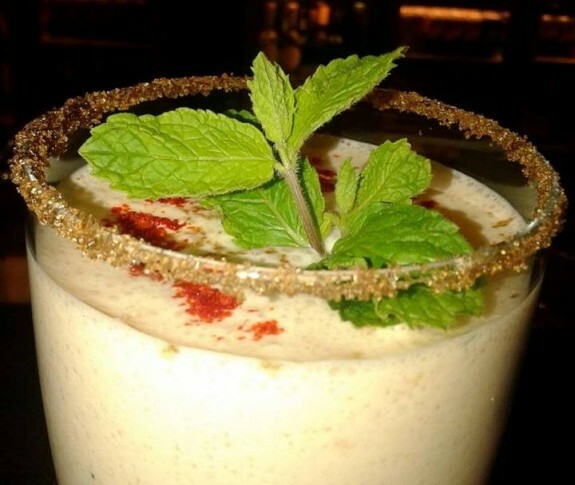 Masala Lassi or Masala Chaas is one of those relished drink with great taste to have. 1. Blend the Curd in a blender till it smooth. 2. Now add all the remaining ingredients exclude ice cubes in the blender and blend till mixed nicely. 3. Pour it in a glass and add ice cubes. 4. Garnish it with mint leaves and serve it chilled.